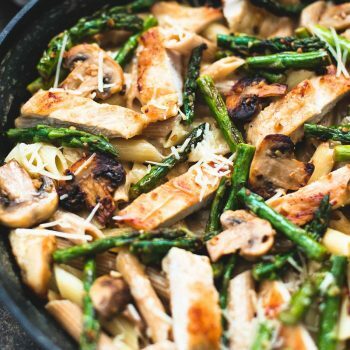 Savory garlic chicken mushroom and asparagus penne with amazing flavor and comes together in just 30 minutes. Raise your hand if 30 minute meals are currently a life. saver. in your house because you’re too busy to think about spending a second more than that prepping dinner?? Oh good we’re all on the same page then. Honest to goodness I try to be intentional about slowing down and enjoying the time that I am in and I can say that to some extent it works. I remember more details from the last two years than any other time in my life and that’s not just because they are the most recent two years, but more because they are the only ones I ever tried to consciously take day by day and soak in the little moments. But I swear every year I get busier and busier and time just flies by me no matter how much I beg it to slow down. Okay but it all comes down to this: I do not have three hours to spend getting dinner ready. If it takes me more than 45 minutes it better be a fillet mignon. But since I’m not often making fillet mignon, I like to keep it around 30 minutes whenever possible. Hence this pasta dish, made with what I had in my pantry and fridge the other night and it turned out kind of magical. 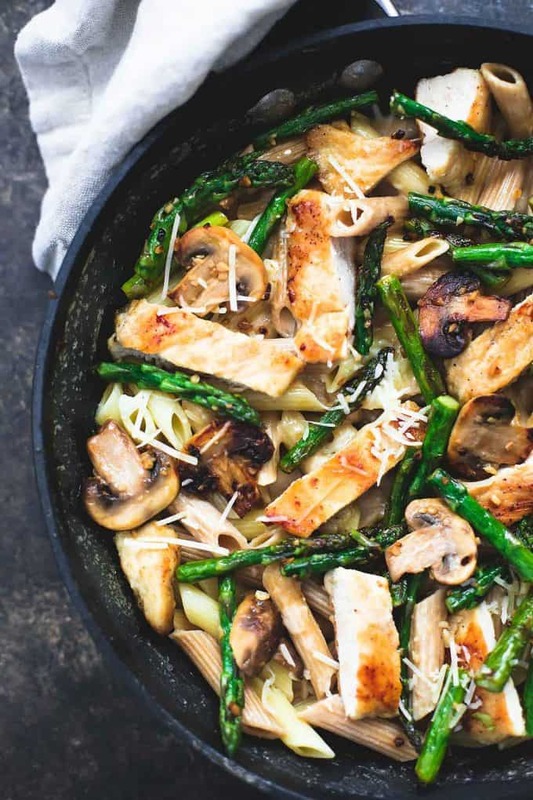 Asparagus + mushroom + lightly breaded buttery garlic chicken with tender penne noodles. That’s where it’s at you guys. 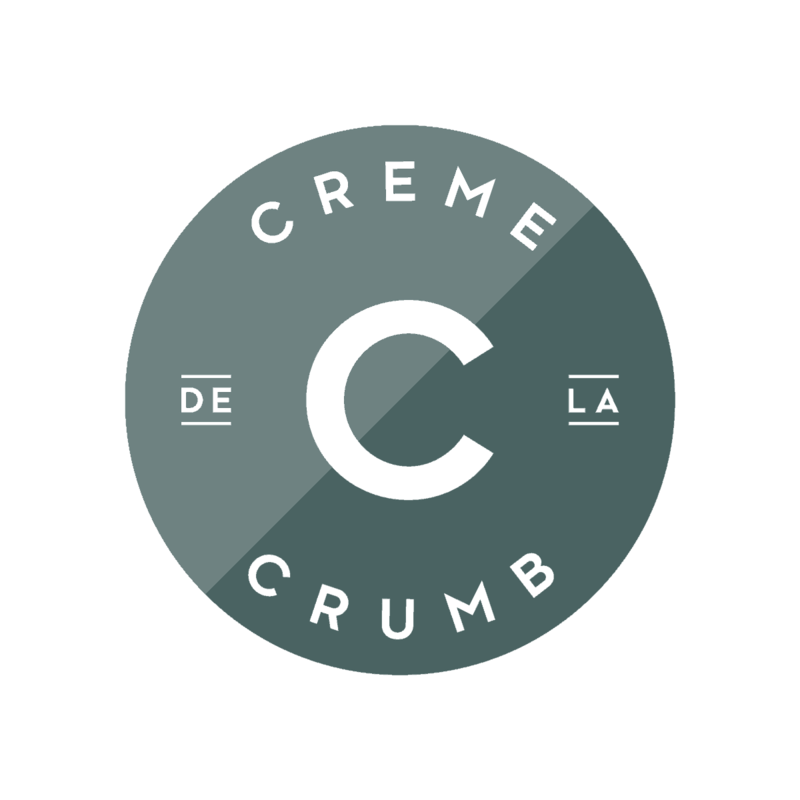 A real 30 minute dish, for real people, who have real lives and are busy and just love good food. That’s why I know you’re gonna be a fan of this here pasta. Cause we’re kindred spirits. Add penne noodles to a large stock pot and cover noodles with water. Bring to a boil over medium-high heat. Boil for 7-9 minutes until tender. Drain and set aside. Simple and beautiful! 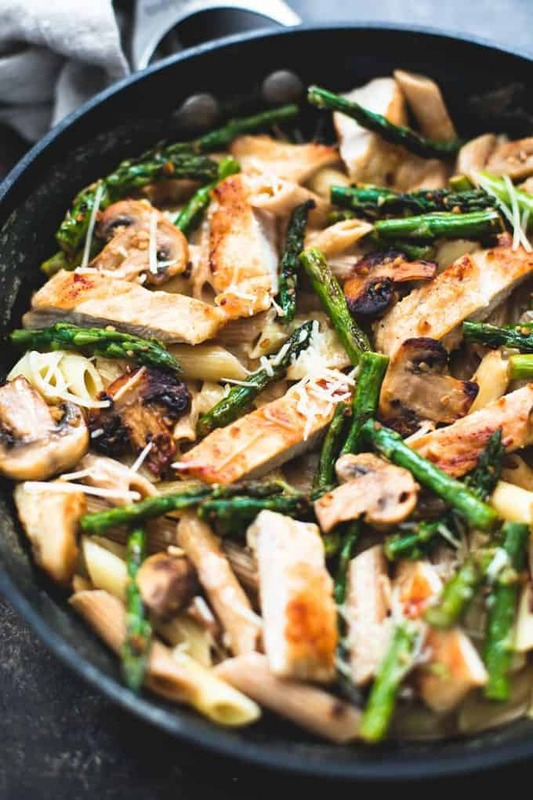 This is a great looking dish! Thanks Roxana!! It’s so easy too – WIN! 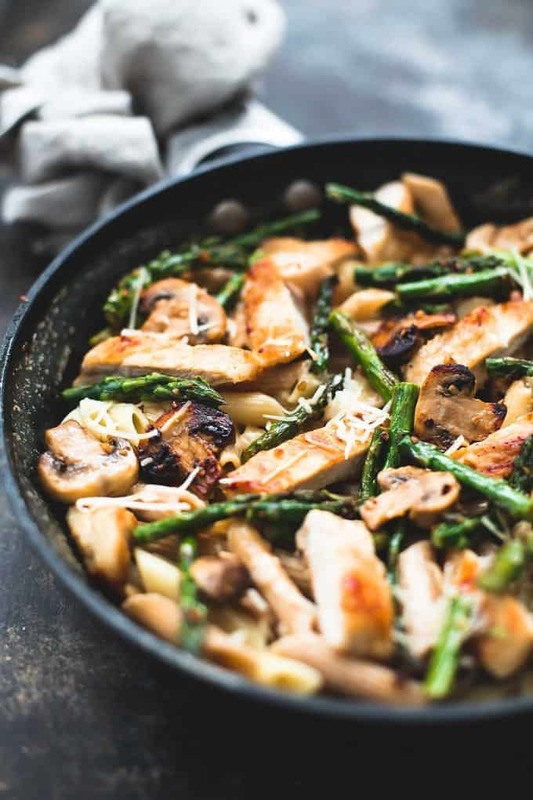 Chicken, pasta, and asparagus are among my family’s VERY favorite ingredients in ANY recipe, so I know we’ll love this dish! I’ll use whole grain pasta, and dice the chicken into cubes. In order to make this a more ‘complete meal’, I plan to serve it over (either) ‘brown’ or ‘wild’ rice…. so I’ll make a ‘lite’ pan sauce (approx. 1/4 C) and stir it in, in Step #5…. as it will definitely need some sauce at this point, otherwise, it would be too dry. I can’t wait to make this! I made this tonight for dinner, and it was SO good, and my husband loved it. I’m not a mushroom fan myself, but I still put them in because my husband loves them, and they gave this dish a nice flavor. And the fact that it comes together so quickly is a major bonus! 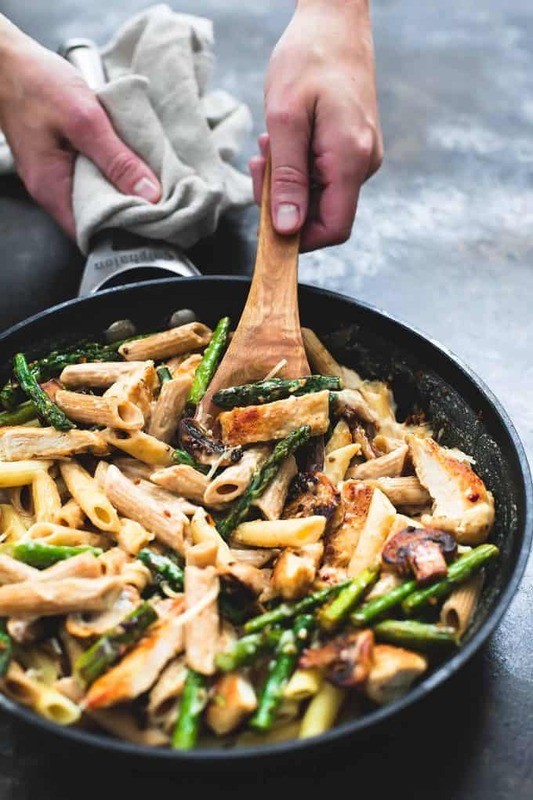 I also make something very similar to this, but instead of asparagus I use sundries tomatoes, and use a little bit of the oil to help flavor the pasta. Made this last night. Delicious and an instant favorite of my husband’s. As someone else mentioned, I did make a bit of a sauce – I added a splash or two of white wine, and then a cup of chicken broth. Then I added the pasta to the dish. It was a light sauce and just sort of glazed the pasta and other ingredients and kept it from being dry. I can’t wait for the leftovers for lunch today! When I was in the process of making this recipe, I was hesitant because there was no sauce. However, it doesn’t need sauce because of all of the butter that is used. It was light and delicious! Making this right now. Smells so good. I added a little lemon juice. Next time, I’ll try with shrimp.